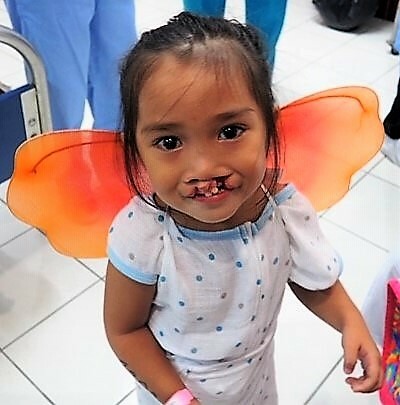 Since 1999, Rotaplast International has been the District’s official committee for providers of reconstructive surgery of cleft lip and cleft palate for children. Their goal is to fund and participate in medical missions to underdeveloped countries where children cannot be helped otherwise. The committee was founded by District Governor Daniel Bronson and has conducted nearly twenty missions to third world nations every year since then. Committee members also serve on the missions of other districts when additional personnel are needed. Rotaplast International is a non-profit, humanitarian organization founded in 1992 as a world community service project of the Rotary Club on San Francisco. Its outreach serves over twenty-six nations in Asia, Africa, South and Central America and Eastern Europe. The missions are requested by Rotary clubs in nations where free medical help is not available from the government or private organizations. Rotaplast International is committed to changing lives through reconstructive plastic surgery, and has performed over 14,000 surgeries around the world. The Rotaplast family is comprised of over 400 Rotarian volunteers, 20 board members and 6 paid staff. It is recognized by Charity Navigator as a 4-star Charity; it’s highest rating. Volunteers who want to devote their time and energy to raising funds that transform children’s lives are encouraged to participate on a mission. The medical teams include up to 19 medical volunteers and 10 Rotarians. No prior experience is required. Rotaplast provides training for volunteers to become mission directors, quartermasters, medical records keepers, sterilizers, photojournalists, interpreters, and other roles needed to assist in all aspects of a mission. Error: Error validating access token: Session has expired on Friday, 01-Mar-19 13:00:41 PST. The current time is Wednesday, 24-Apr-19 22:08:17 PDT.